Traveling with an infant is fun……said no parent ever! In fact, traveling with any child can be a real challenge. We love them, but we don’t love carrying them around. That’s where a travel system helps! With a travel system, you don’t have to choose between carrying your baby and carrying your groceries. Why Buy a Travel System – Is a Travel System Worth It? 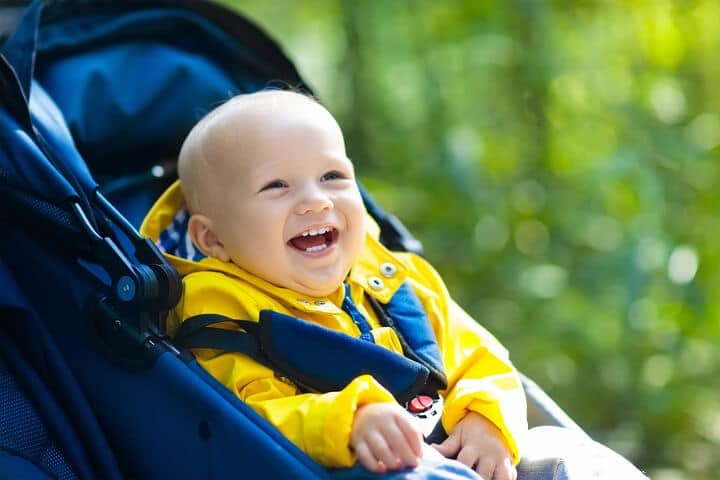 A travel system is a system that includes infant car seat and stroller – buying one is more affordable than buying an infant car seat and stroller separately. It also helps avoid hassle – when you purchase a travel system, you know the car seat and the stroller will fit together. Buying separately doesn’t guarantee this. Of course, travel systems are convenient in other ways too. First, consider the convenience of comfort! Comfort assures that your infant will continue to nap as you transport them from the car to the house (or in-laws or doctor’s office). We love our children, but sometimes we love them the most when they’re fast asleep! The travel system also allows you to protect your baby from nature’s elements – rain, snow, and freezing temperatures (or even scorching heat). You can keep your baby snug and comfortable by placing them directly from the car into the covered stroller, allowing you to get from point A to point B effortlessly. Lugging around a heavy car seat might be good for your biceps, but it does your child no favors (it doesn’t help your sanity, either). Travel systems are loaded with features too – storage, cupholders, easy folding, swing-out trays. These features are designed to make parenthood a breeze (insert roaring laughter here!). 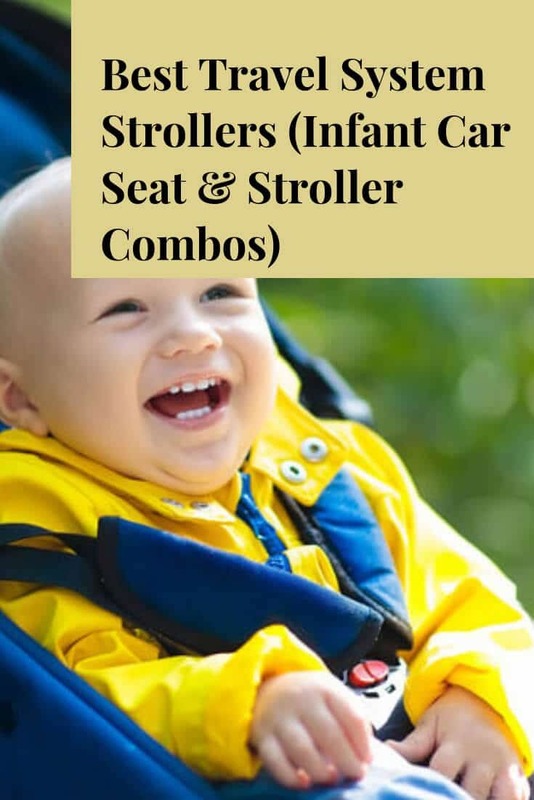 Okay, they at least make life with a little one easier for years to come (infant car seats often hold weights up to 30 pounds while strollers hold up to 50 pounds). And the durability allows you to reuse the travel system as you expand your family. This product focuses on safety. The B-safe 35 Infant Car Seat has steel frame, impact absorbing base, and side layer of protection. Parents like that it’s easy to snap together, the stroller is lightweight and easy to push, and it folds without effort. It also has loads of storage. Parents don’t like that the car seat is a little on the heavy side. The seat belts get stuck from time to time and it lacks cupholders (you can purchase them separately). This product features a light-weight frame and a 3-wheel design for easy maneuvering. The car seat is designed to get in and out of the base easily. On the pros side, the car seat is easy to adjust and offers good head support. The stroller is very easy to push and folds up compactly, making it simple to get in even the smallest trunks. It also pushes fluidly, even on rough terrain. On the cons side, the canopy doesn’t always stay in place (and lacks a peephole so you can spy on your child). The cupholders are also limited in what size cups they can hold. This product is designed for functionality and style. It features polka-dot patterns and colorful accents. The stroller offers a parent tray and easy maneuverability. The perks include safety – it has excellent safety ratings. It also installs effortlessly and the stroller offers a smooth ride with a tight turning radius. It’s easy to fold up too – do it with one-hand! The drawbacks include the cupholders – they’re too wide and too shallow. The canopy doesn’t always stay on and parents who are tall have noted that they often kick the wheels while pushing. This product allows you to customize how your baby sits: parent facing or forward facing. It’s also one of the lightest products on the market. The benefits of this system include the durability of the car seat – it’s well designed and makes for an easy transition from car to stroller. The unit is sturdy and assembles readily. The negatives include the wheels – some parents describe them as noisy. The cupholder is also flimsy and may tilt when in use. This product offers a fully reclining seat with eight reclining positions and memory recline (retains the backrest position during folding/unfolding so you don’t have to readjust). It offers adjustable height too at the handlebars (for parents who are on the short or tall side) and a one-handed fold. The pros of this system include the sturdiness – its high price certainly translates into high quality. The system is easy to assemble and the stroller can transition from an infant stroller to a toddler stroller. It offers ample storage and lots of bells and whistles (such as toy trays and cupholders). The cons of this system include the odd shape of the parent compartment – it might not hold the obligatory smartphone you’re carrying. The system is also heavy and takes up a lot of room even when collapsed. The glare of the peephole prevents child visibility when you’re using the stroller in the sunshine. This system is designed for elegance (give it time, your baby will start speaking with a sophisticated English accent). It folds down to half its size (allowing it to fit inside small cars) and provides an easy, smooth ride. Parents enjoy that this travel system is lightweight and easy to carry. The car seat is well-designed and well-made with a large plastic lever that allows for quick and simple transferring. The stroller rolls well on pavement and grass and assembles without hassle. Parents don’t like that it lacks a parent tray at the handles. The cupholder isn’t very secure and won’t hold small items, either (and there’s only one cupholder to boot). This product offers one-step, secure attachment of infant car seat to stroller and a locking front-swivel wheel for more control. It also has a one-handed, self-standing fold. The pros include assemble – it sets up in five minutes. The design is beautiful and colorful and the system is lightweight with excellent maneuverability. It folds with one hand just as it’s designed. The cons include the lack of head and neck support – some parents note wanting more for their child’s comfort. Another con is getting the car seat in and out of the base. It can be a challenge as the seat may stick. This product features a stylish design and a height-adjustable handle. It also offers linked rear brakes, one-handed fold, and auto-positioning wheels. Parents enjoy that it’s easy to open and close. It stores easily in a car trunk and offers lots of extras (baby cup tray, zip pouch for parents, cushion padding that is reversible, cover for car seat). Parents don’t like that the canopy tears easily. Others don’t like the heaviness of the car seat, claiming it’s one of the bulkier on the market. In a perfect world, kids would come out of the womb walking like giraffes. In reality, they rely on us for everything for the first few years. This makes travel a special kind of challenge. But a travel system, like those above, allows you to sit back and enjoy the ride….until your baby awakens.